This home is in one of southwest Denvers wonderful neighborhoods. This fantastic home has curb appeal and has everything anyone would want. New roof and gutters will be installed before closing. Some updating has been done, hardwood floors redone, granite countertops in the kitchen, new tile floor in the kitchen, matser bedroom with a 3/4 bath, 2 egress windows in the basement, newer Trane furnace and AC, part of the sewer line has be replaced. 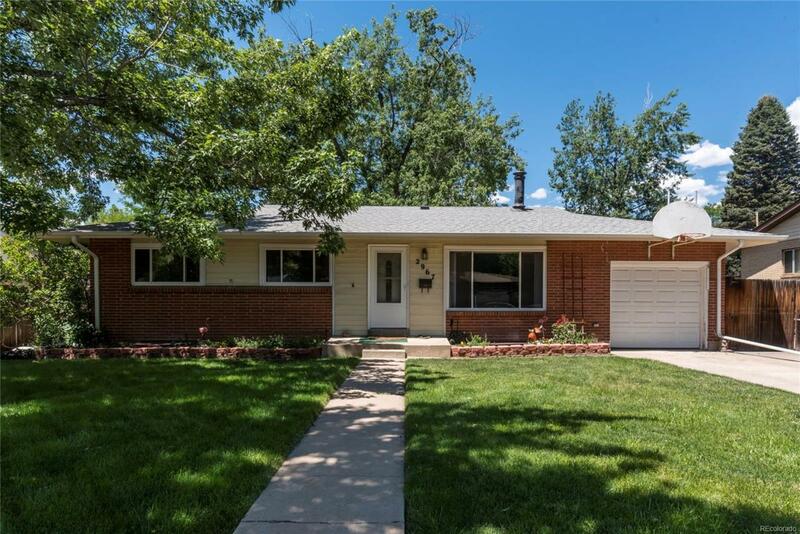 Centrally located close to parks, stores and Highway 285. You don't want to miss out on this gem, just ready for someone to move in and make it their own. When you see this home, you will fall in love at first sight, a real keeper! Offered by Mb S Dock Realty Co.